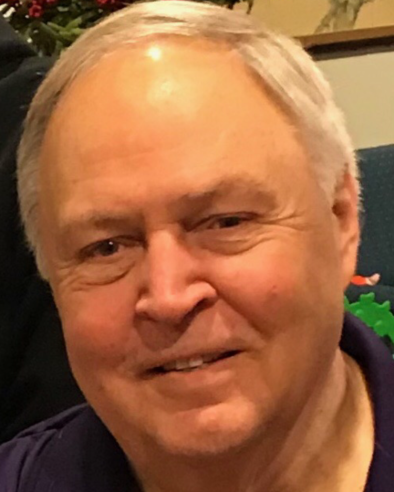 Robert Arrington Cornett, Jr., of Huntington Beach, passed away February 9, 2019. Bob was born in Corpus Christi, Texas, on Aug. 1, 1947, to Robert and Virginia (Sassman) Cornett. He graduated from Westbury High School in 1964, then went on to the University of North Texas where he earned his Bachelor of Arts degree, having double majored in English and Spanish. In 1969 he enlisted in the United States Navy, went to Officer Candidate School and commissioned as an Ensign before attending Chinese language school in Monterey, California. After receiving orders to the Philippines, he deployed into Vietnam and then moved to Taiwan, where he met his wife Georgia in 1972. Bob was discharged from the Navy in 1973, married Georgia in 1974 in Taiwan, then they moved to Seattle so he could attend the University of Washington’s East Asian Studies graduate program. Afterwards, he was employed by Fritz Company from 1978 until he retired with UPS in 2016; during that time, he and his family moved to San Francisco, then settled in Huntington Beach from 1983 until his death. Bob enjoyed music, travel, and watching his beloved Washington Huskies and Seattle sports teams. After retiring, he became a member of the American Legion Post 291 in Newport Beach, and had plans to take up boating with good friends. He especially loved playing board and card games with friends and family, and took much joy in being surrounded by his grandchildren. His love for his family was always on display. Bob is survived by his wife of 45 years, Georgia Cornett; sons David (Amber) Cornett in Denver, Colorado, and Steven (Kelsey) Cornett in Glendale, California, and daughter Katie (Blake Buck) Cornett from New York City, New York; brother John (Hanan) Cornett of Louisville, Kentucky; and grandchildren Forrest, Torin, Greyson, and Violet Cornett. Funeral service will be held at Heritage Dilday Chapel in Huntington Beach on Saturday, Feb. 16th at 1100, with Pastor Egypt McKee officiating. Immediately following the service, all are invited to visit the family during a gathering in the Heritage Dilday reception hall. In lieu of customary remembrances, memorial donations may be made to www.autism-society.org. The family wishes to extend thanks to the Heritage Dilday Memorial Services staff.